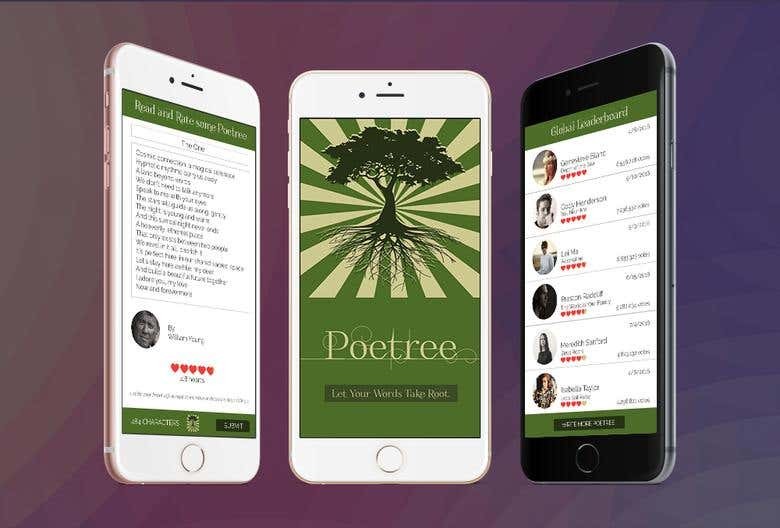 Poetree is an innovative, fun and creative social poetry competition. Expand your mind, share your heart. Wordsmiths unite. Poetree was born out of a true love of words. Poetree came to life as a passion project when I started writing poetry for my girlfriend and would send it to her sporadically throughout the day via text while we were at work. She adored it. She cherished all the volumes of Poetree I ever wrote her and saved them for safekeeping. I guess it worked - we got engaged!